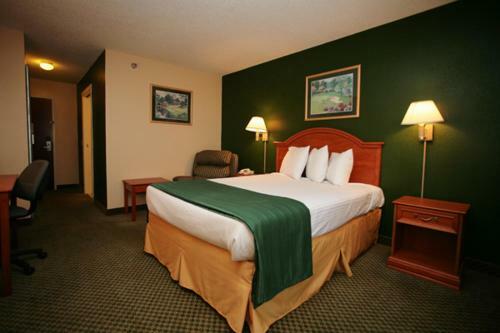 In Indiana, do not miss the Horseshoe Southern Indiana Casino & Hotel. The casino features one of the largest offers of Indiana table games with: Craps, Roulette, Mini Baccarat, Blackjack and many others are at your disposal. 1,700 slots are also available in the venue if you prefer to pull the lever. Poker enthusiasts will find the largest Poker Room of the Midwest’s with 30 tables, daily cash games and tournaments. Its large hotel features an indoor pool, a hot tub, a fitness center, the Envy Bar & Lounge and 4 different types of rooms for the guests. Many options are available for dining and drinking with 4 restaurant and 3 other ones for quick bites. Elizabeth is a very small municipality of about 161 people based in the state of Indiana. It does not offer its visitors many tourist attractions. However, Elizabeth is located only 12 miles west of Louisville. This much famous and popular town is full of things to do and discover during your stay. Moreover, the region is very dynamic and lively thanks to its numerous festivals and events which are going on year round. Louisville also offers visitors a wide range of various and fresh dining places for brunch, lunch and dinner. Celebrate Louisville's history with a self-guided historic tour to discover the beautiful and well preserved architecture. As any large city, Louisville boasts many entertainment venues and districts such as the Fourth Street Live where you can find nightclubs! Slots don't pay out that much and it takes forever to get a bonus. Very nice room with a scenic nature view. Good housekeeping service. Fun casino. Good restaurants. Located well to see much of Louisville and Lexington. I absolutely love this casino. It is my favorite. Always leave with winnings . And my favorite restaurant Jack binions. "cant wait for a return trip"